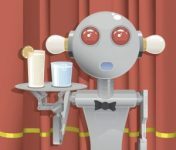 By Christopher C. Barron Despite many decades of tradition, successful companies are dropping the concept of customer service in favor of investments in IT automation. In doing so, they’ve never been more profitable. But, it’s just one more thing that is now starting to fall into IT’s lap thanks to automation.